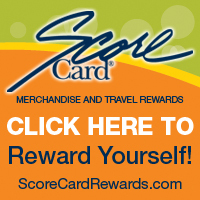 Carry the card that gives you ScoreCard® Bonus Points for every net retail purchase you make. You can redeem bonus points for brand-name merchandise and travel rewards. In addition to ScoreCard® points, your card has no annual fees and a low fixed interest rate. Optional insurance available to protect your card when life happens. Coverage for unemployment, disability and life available. For more information about factors to consider when applying for or using a credit card, visit the website of the Federal Reserve Board at www.consumerfinance.gov/learnmore.